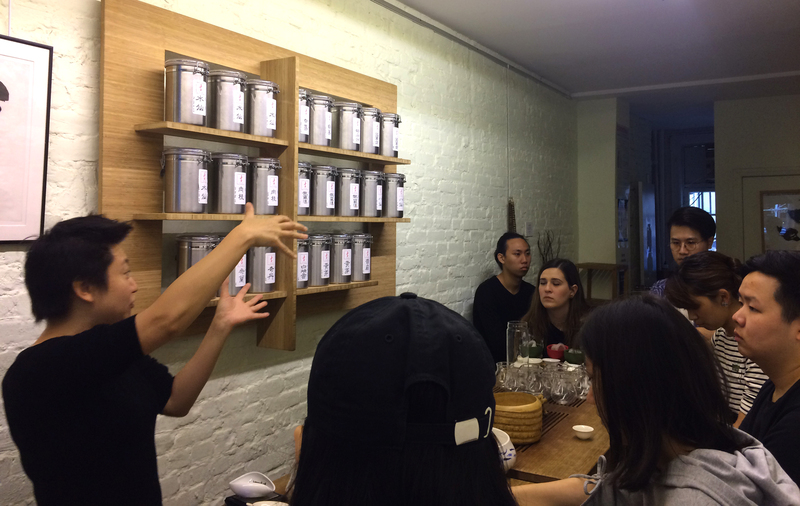 On October 3rd, 2017 Shunan Teng, founder of Tea Drunk hosted the LS section of Sustainable Systems at her shop in the Lower East Side. 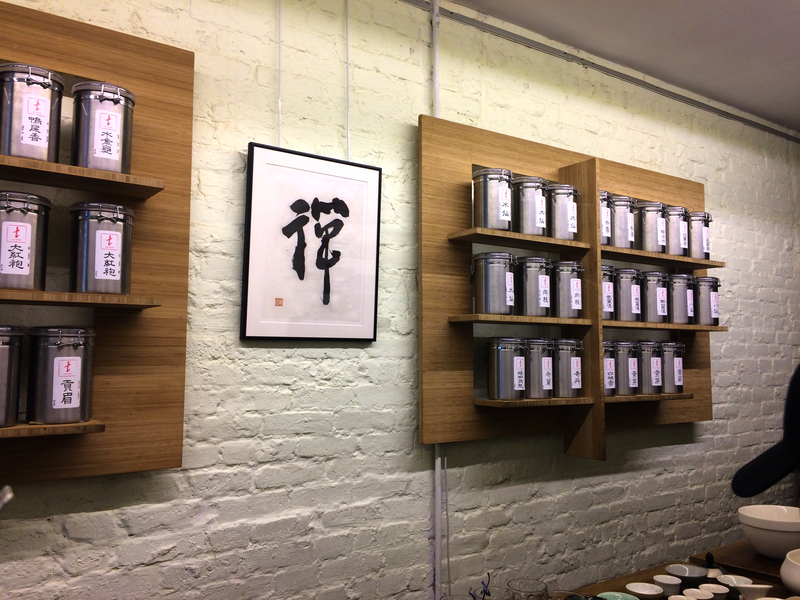 Tea Drunk, founded in 2013, isn’t an average tea house. 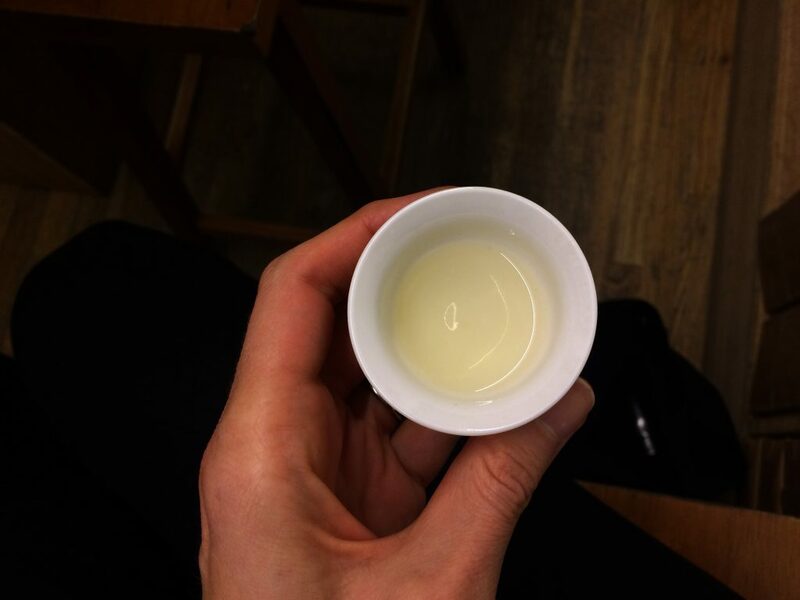 During our visit, Shunan served students three varieties of tea: Huo Shan Huang Ya, Wu Yi Shui Xian and Bai Hao Yin Zhen. 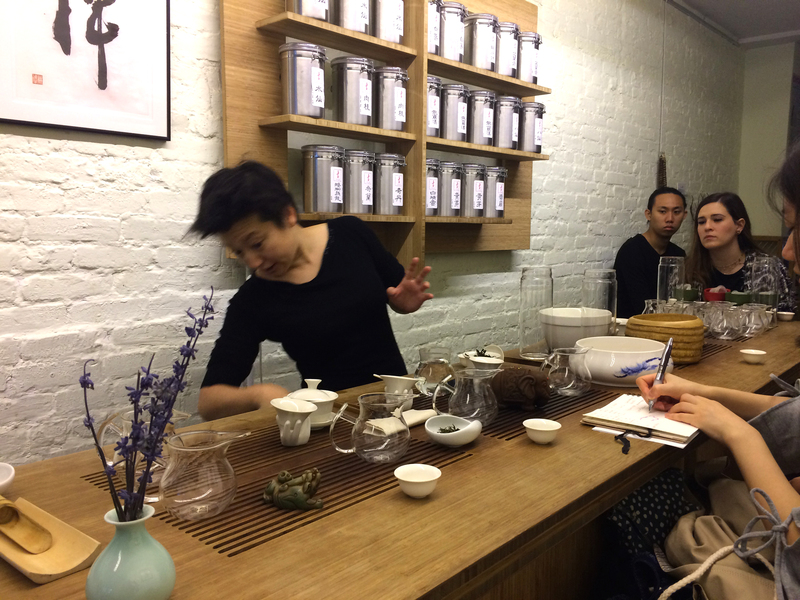 In an atmosphere of genuine hospitality and joy, Shunan shared stories about the history of tea, the background of the ancient regions where she sources tea, the hearty nature of wild tea plants which are naturally insect repellent and drought resistant — and the challenges facing these areas in the age of climate change. During our visit and tasting, Shunan described in detail the highly nuanced attention that tea farmers and elders of the regions must have with the changing environmental conditions, including seasonality, wind, air, light and temperature — and their use of an ancient calendar system that divides the year into 24 “seasons,” helping them to know when to harvest tea and proceed with various steps of tea cultivation. She also explained her belief that producing and tasting these teas is as much of an “art” as it is a deeply human practice — becoming aware of the highly particular and complex nuances, which result from regional geography and variation, is to enjoy something often lost in the highly standardized practice of modern tea manufacturing and production. She expressed to students her intention to share (and help preserve) these important aspects of Chinese culture with the world through her work at Tea Drunk. 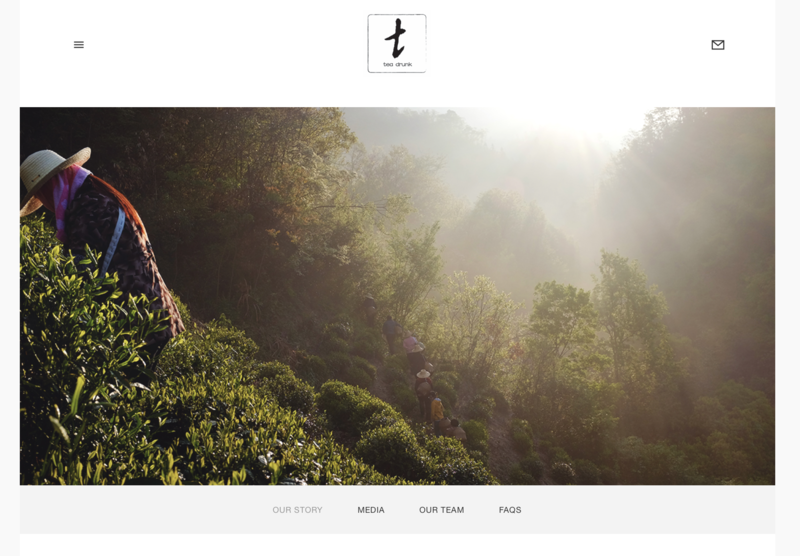 And her hope to encourage people to taste “real” tea rather than allowing standardized market trends determine what is “good,” as these trends directly reshape the geography of tea regions and cultivation practices around the world. She also briefly discussed her recent pop-up shop at the Metropolitan Museum of Art. Reflect on our trip to Tea Drunk. – What was the most inspiring part of the visit? – Despite being a new business, which of the Long Life Design criteria do you think Shunan might be able to fulfill over the next 50 years, and why? “I remember Shunan at the end she talked about how the tea industry should look up to the wine industry because nowadays people who drink wine really stick to the natural wine. And in her opinion, tea drink should also stick to its original way of production and consuming, which means make or drink the tea without additional artificial materials I guess. – Name several of the specific systems involved in Shunan’s work at Tea Drunk? (think about what kind of geography, tea, history, people in China and New York are essential to her work etc.). The location of where the tea trees are grown historically in China in order to get authentic tea. Working with heritage farmers of China. handpicked the leaves in order to get the right leaves which survived the winter, and therefore have more complexity. handcraft the tea by respecting the criteria of terroir, varietal and craft. Handcraft the tea using traditional methods. – Do you think of Shunan as an artist or a business person? – Do you feel her work is aesthetic? – Do you feel her work is “sustainable”? Does it also address environmental issues in other ways, perhaps in ways that ancient farming cultures did naturally? What do you think of this? “Half and half. Sometimes I do worry about this kind of little shops that are so cute, so authentic. They have their little worlds within modern fast-pace cities, but maybe close down because of some reasons. (I don’t want to be so realistic.) However, the category she is in, which is tea, is very historic and has already been sustainable.